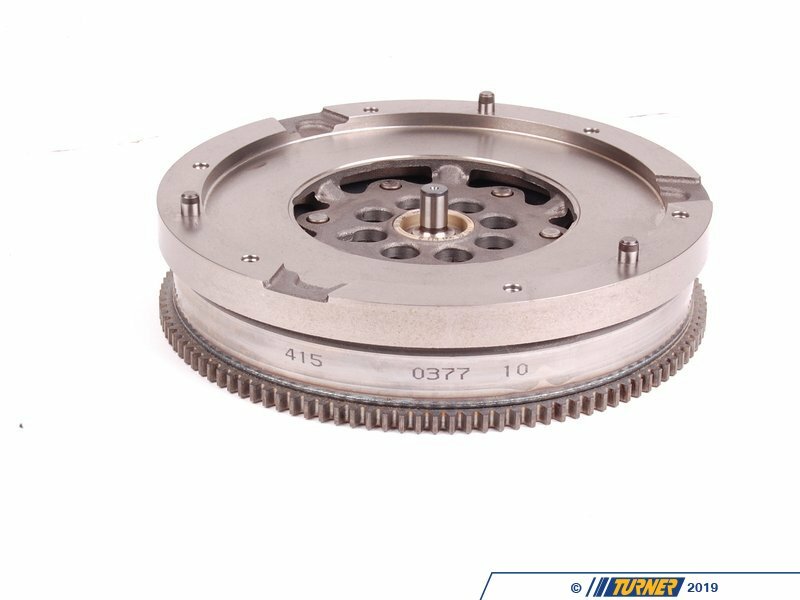 This is the stock twin mass flywheel for early N54 engines in the E82 135i, E9X 335i/xi, and E60 535i/xi (flywheel uses 8 mounting bolts). It's manufactured by OEM Shaeffler (LuK). 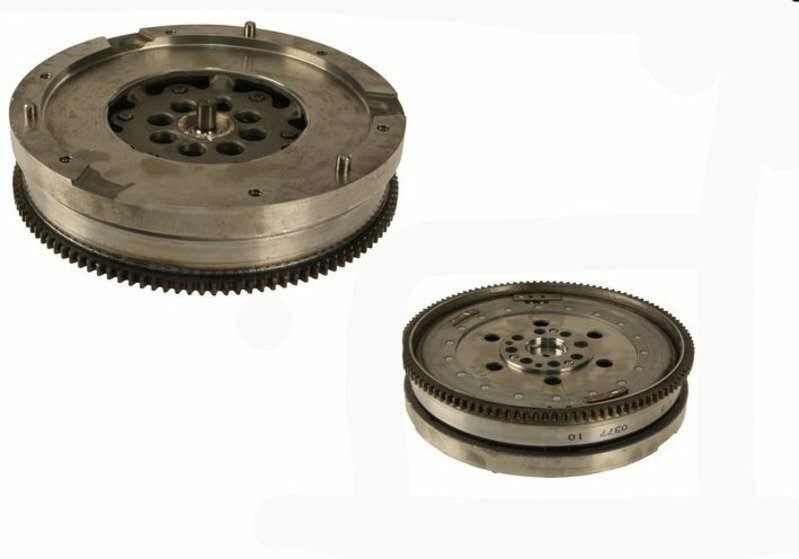 Sachs recommends a new dual mass flywheel (DMF) on every other clutch replacement. 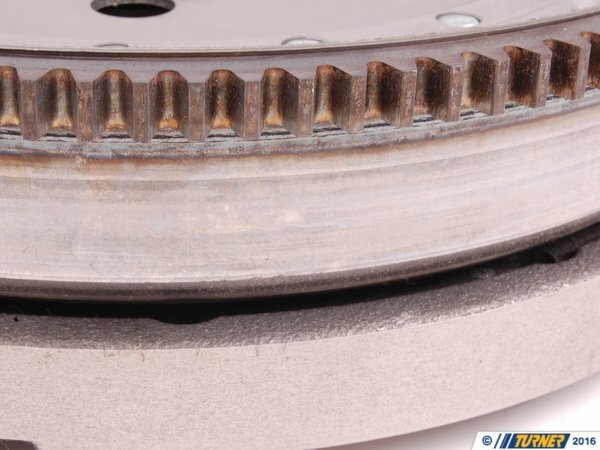 There are several indicators for replacing the flywheel: damage to the clutch contact plate (from a severely worn clutch disc), grease leaking from inside (overheating), build-up of clutch material on the contact plate (excessive slipping and overheating), and failure of the internal damping system. The dampening system uses rubber or coil springs to absorb driveline vibrations. Through age, excessive heat, and aggressive use the rubber loses its resilience and the metal springs lose their strength and become brittle. If the clutch and flywheel have become overheated the internal grease may break down as well. A DMF failure can be massive and catastrophic, not to mention dangerous as bits of metal and rubber fling themselves through the transmission bellhousing. 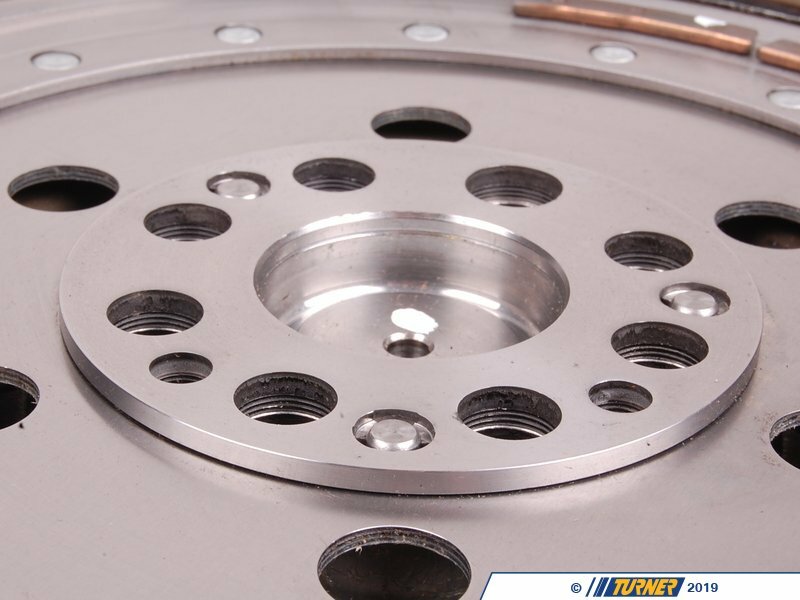 Heat and aggressive driving will accelerate the wear so race and track cars should have their stock flywheels replaced at regular intervals or with any new clutch. Even normal street cars should plan for a new flywheel if it has high mileage. DMF wear can only be checked with the transmission and clutch removed. If you can rotate the outer flywheel more than 20mm in either direction then it should be replaced. 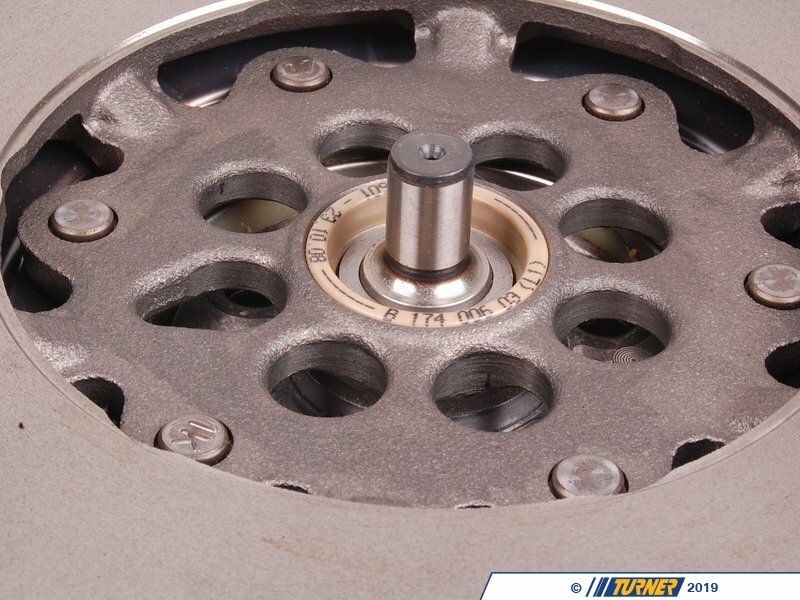 A new pilot bearing (roller bearing) is included, pre-installed in the flywheel hub.